Nevada’s economy has been making a steady recovery and signaling the return of a viable marketplace. In addition, Nevada, among a handful of other states, has been experiencing a rapid growth in its economy due to efforts put in place by the state and federal government. Over the past few years, Nevada has been focusing on encouraging investments and attracting businesses to thehttp://www.macdonaldhighlands.com/wp-admin/edit-comments.php state with lucrative tax breaks and the positive outlook of a sustainable economy. According to a recent interview with Kristen Routh-Silberman, an expert real estate agent with Synergy Sotheby’s International Realty, the burgeoning tech industry in Las Vegas has attracted many high-income earners, which has been driving the luxury real estate market. Routh-Silberman is also the seller agent for MacDonald Highlands’ custom lots and homesites at the DragonRidge Country Club. 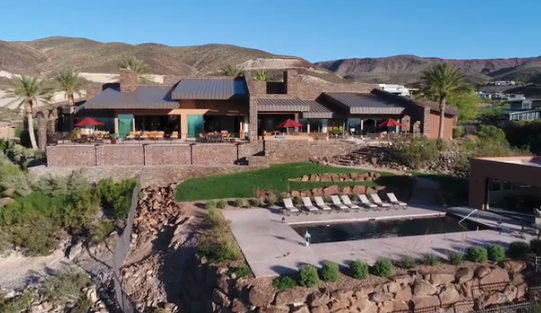 She believes that MacDonald Highlands’ custom sites are perfect for those who are looking to build their dream home at a location that offers breathtaking views of the Las Vegas valley. The booming luxury real estate communities with views in Henderson are offering these professionals an opportunity to live at the top. Luxury living is the best option for many who desire a complete country club lifestyle. Most of these premier communities offer a comprehensive range of amenities, prestigious golf courses and athletic facilities, and unprecedented scenic views of the natural surroundings. Living in one of these communities means that everything you need is within the comfort of the community. Being a member of one of these luxury communities will elevate your lifestyle and your social status in society.